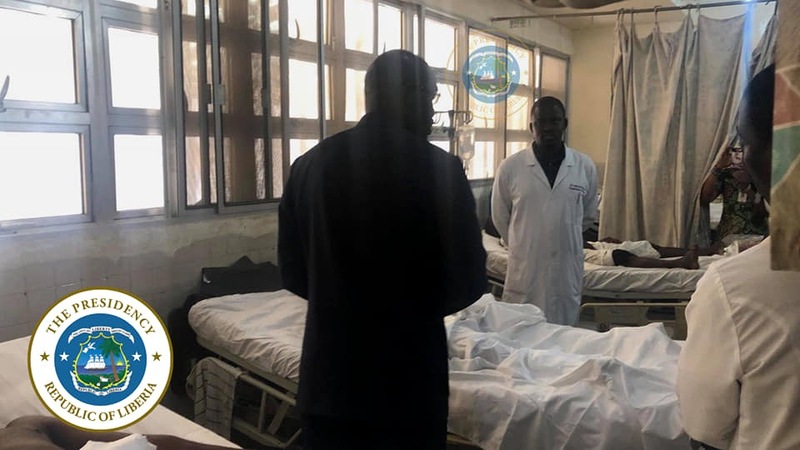 Monrovia – President George Manneh Weah Tuesday, February 12, 2019 made his first stop of the day’s activities at the John F. Kennedy Medical Center to see firsthand and soothe victims of the accident involving the Executive Mansion Press vehicle. 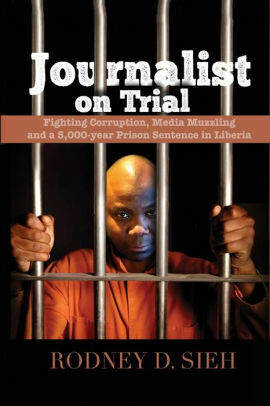 The press vehicle in the motorcade of the President on Sunday, February 10, 2019, collided with another vehicle belonging to former Associate Justice, Wilkins Wright which reportedly intruded into the motorcade near Gbarnga, Bong County. Meanwhile, the President has since ordered two of the victims, Gabriel Mills and Jerry Gaye, who sustained serious bone fractures, flown to Abidjan, Ivory Coast, for further medical attention. They are accompanied by Press Secretary Isaac Solo Kelgbeh and one of the medical doctors from the JFK.